Block the leaks. Check the most common areas that leak, such as recessed lighting, window frames, doorframes, attic hatch, plumbing and electrical bypasses in the attic, and electrical outlets. Use weather-stripping, door sweeps, foam, and caulk to seal up the leaks. Insulate. You should have a minimum of 12 inches of insulation in your attic. If you don’t know how to tell, look at your ceiling joists. If you can see them, you need more insulation. Also look into insulating your walls and floors above crawl spaces. Check the furnace. Turn the furnace on now to make sure it is working before the cold weather hits. It is a good idea to have the furnace cleaned and tuned annually. While this maintenance is being performed by heating technician, make sure of the following: the thermostat and pilot light are working properly; the fuel pipe entering your furnace doesn’t have a leak; check the heating exchanger for cracks, as a crack can bring carbon monoxide into the home; and finally, make sure to change the filter in forced hot-air systems. The filter should be changed monthly during the heating season. Homeowners can change the furnace filter themselves. Check the ducts on forced hot air system and baseboards on hot water systems. Ducts aren’t always easy to see, but you can often find them exposed in the attic, the basement, and in crawl spaces. Ducts should be vacuumed once every few years, to clean the abundant dust, animal hair, and other things that gather in that will impede the flow of hot air through the house. Clean hot-air registers, baseboard heaters, and radiators as needed; make sure furniture, carpeting and drapes do not block them. Thermostat settings. Reduce the thermostat setting when everyone is asleep or away from the home. Consider installing a programmable thermostat. Don’t forget the windows. Storm windows are very helpful, especially if you have old, single-pane glass windows. Replacing windows can be very pricey and the experts say to do a few at a time. However, in the meantime, buy a kit you can get at your local hardware store. It is a special kind of plastic sheeting that is affixed to the window’s interior with a hair dryer.The heat from the hairdryer shrinks the sheeting to the window. It is pretty inexpensive, can be quite effective, and is easy to remove in the spring. Remember the chimney. Chimneys need to be swept, however, it does not need to be done every year. Just make sure it has been at least inspected before you start using it for the year. To keep cold air out, fireplace owners should keep the damper closed when it isn’t in use. Fireplace owners should also keep the glass doors shut when it is not in use. Reverse your fan. By reversing the direction of the fan after summer, the fan will push warm air downward and force it to recirculate. To do this, when you look up at the fan, make sure it is turning clockwise. Wrap the pipes. Before the temperature hits freezing, make certain that the water to your hose is shut off inside your house and that the excess is drained. Next, go looking for pipes in the crawlspaces, basements, and garages that aren’t insulated. Wrap them with pre-molded foam rubber sleeves or fiberglass insulation. Clean your gutters. In the fall, once the leaves have fallen, make sure to clean out the gutters on your house, as clogged gutters can cause water to back up and freeze, causing ice jams. Such ice jams will cause water to seep into your home. When washing out the gutters, also look for leaks and misaligned pipes. Insulate your water heater. Check the manufacturer’s label before insulating your water heater. Use caution when insulating gas fired water heaters. Also, set the water heater temperature to about 120° Fahrenheit at most; higher temperature water can scald, and cooling it wastes not only the heat in the water; it also wastes the cold water needed to dilute the hot water. Check the alarms. Check the operation of all of your smoke detectors. Also, check to make sure you fire extinguisher is still where it should be and up to date. Finally, make sure to have a carbon monoxide detector. Every home should have at least one. The above is an excerpt adapted from the article, “How to Winterize Your Home.” For more information, please visit www.nh.gov. The time to prepare your home for extreme cold weather is before it arrives. Inadequate insulation and air leaks can cause cold drafts and increase your heating costs significantly. A few inexpensive DIY fixes around doors and windows will save money and heating fuel. And if a severe winter storm should precede extreme cold, your home if not your whole communities can be without power and communication services, sometimes for days at a time. In such cases, keeping the cold out and staying warm becomes a matter of survival, making your time and money spent preparing well worth it. 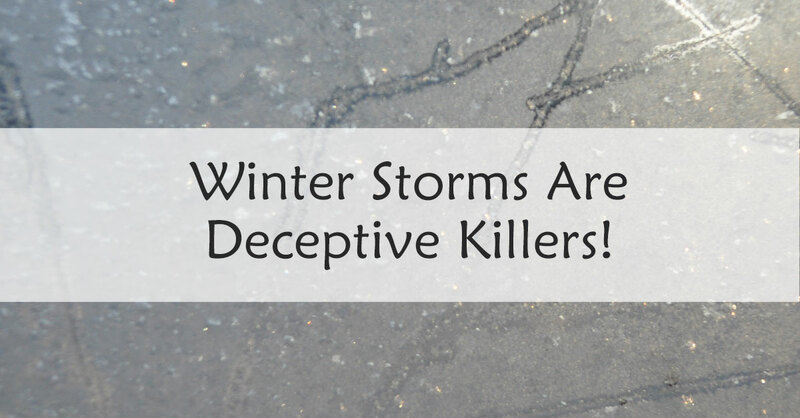 Make sure your outer walls and attic have proper insulation. Loose fill or batt insulation is usually used in attics. Loose fill insulation provides better coverage and is typically less expensive. In exterior walls, blown-in insulation installed with the dense pack technique provides significant air sealing and can be installed in an existing home without a lot of disruption to finished areas. Batt or blanket insulation is a less expensive option you can install yourself, but it won’t provide the air seal of dense-pack blown-in insulation. Gaps around doors and windows can be a major source of heat loss during winter, accounting for up to one-third of your total heating cost. Check for leaks to identify problem areas. On a windy day, turn off all air conditioning or heating and close all windows and doors. Turn on bath fans and stove vents and light an incense stick. Pass the stick along the edges of doors and windows. Notice where the smoke is either sucked toward or blown away from the door or window. This indicates an air leak. Load a tube of caulk into a caulk gun and, holding the gun at a 45 degree angle, fill in gaps around doors and windows. Weatherstripping also helps stop air leaks and comes in a variety of forms, such as foam tape, V-strips, felt, tubular rubber and door sweeps — plastic or metal pieces fitted with strips of nylon, vinyl or sponge brush that fill the gap between the floor and the bottom of the door. The type you should use will depend on the window or door type you are treating. Weatherstripping can be self-adhesive or installed with nails or screws. Storm windows provide an additional barrier against cold drafts. If storm windows are cost-prohibitive, you can staple heavy plastic around the outside of the window frame, although this will likely limit your view out the window. Remove exterior garden hoses and install faucet covers on outside faucets. Wrap exposed water pipes and those in crawl spaces with pipe insulation or heating tape. During extreme cold weather, allow faucets to drip lukewarm water to avoid pipe freeze. Use weather stripping around the cover of fold-down attic stairs to prevent cold drafts from entering through an unfinished attic. A fireplace surround with glass doors can reduce heat loss by as much as 90 percent. Caulk around pipe holes leading in and out of walls, and use foam insulation kits on electrical outlets and light switch plates to reduce drafts from entering living areas. Cover the screens on screened-in porches with heavy plastic. Clean gutters around roof lines to avoid moisture buildup on roofs. Trim any nearby branches that could snap under the weight of snow and ice or high winds and fall on your home. The following is an excerpt taken from the article, “How to Prepare My House for Extreme Cold Weather.” For more information please visit www.ehow.com. 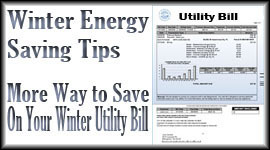 This is an excerpt from the article “Winter Energy Saving Tips”. For more information please visit www.pnm.com. Get your furnace inspected and tuned up by a heating professional. Have your home properly insulated and weatherized. Measure your attic insulation. If you have less than 7 inches of insulation or if it is less than R-38 (the current requirement for new homes), consider upgrading your insulation with spray-foam or batt insulation. Look for places where air may be leaking through the insulation – you will be able to tell because there will be dirty spots or holes in the existing insulation. Seal the holes by stapling a piece of plastic sheeting over them and caulking around the edges of the plastic. Additional insulation can be blown into walls, and there are even options for insulating flat roofs, crawl spaces and floors. Replace any broken window panes and repair any large holes in attics, crawlspaces, or basements. Seal exposed ductwork. Ductwork sealing can help your system run more efficiently, and also ensures that heated or cooled air gets to where you want it to go. Instead of duct tape, use mastic (available at hardware stores) to seal ductwork. Mastic provides a better seal and lasts longer. Replace older or loose fireplace dampers. Have a sheet-metal insert installed, which will prevent some heat loss and help reflect heat from the fireplace back into the room. Consider converting your traditional fireplace to a more efficient pellet or wood-burning stove. Determine your payback time before investing. Protect your $$: When banking and shopping, check to be sure the site is security enabled. Look for web addresses with https:// orshttp:// , which means the site takes extra measures to help secure your information. http:// is not secure. Cybersecurity is a shared responsibility and each of us has a role to play. For more basic tips to stay safe while shopping online, visitwww.dhs.gov/files/cybersecurity.shtm. snow, ice, rain, blizzards, and high winds. Many times it is a combination of any of these. winter storm procedures to see if they were successful, and accomplished everything anticipated. can take steps to prepare for it. Many people will travel to visit loved ones for the Thanksgiving holiday and the American Red Cross has travel tips holiday travelers can follow to arrive safely at their destination. Make sure the vehicle is in good working order. Give one’s full attention to the road. Avoid distractions such as cell phones. Observe speed limits – driving too fast or too slow can increase the chance of being in a collision. Clean the vehicle’s headlights, taillights, signal lights and windows. It’s also recommended to keep an emergency preparedness kit in the vehicle. Useful items include water, snacks, a flashlight, first aid kit, extra cash and blankets. The above is an excerpt from the article, “Travel Safely During Thanksgiving Holiday.” For more information, please visit www.redcross.org. Each year, Americans prepare a whopping 45 million turkeys for the traditional Thanksgiving Day feast. However, for those who decide to center their meal around a fried turkey, the potential hazards of cooking that dinner in the turkey fryer can be far worse than putting on a few extra pounds. The above is the video, “Danger of Turkey Fryers.” For more information, pase visit www.ul.com. Prepare healthy and safe food. Camping is a great way to get physical activity. Do things such as walking, hiking, biking, or swimming to keep you active during your camping trip. Be sure to bring protective gear, such as helmets, sturdy shoes, and life jackets. Avoid poisonous plants, like poison ivy, poison oak, and poison sumac. Know your limits, and take steps to avoid injury during activities. Never hike or swim alone. Watch kids closely. Adults should get at least 2½ hours a week and kids should get at least 1 hour a day of physical activity. The is an excerpt adapted from the article, “Camping Health and Safety Tips and Packing Checklist.” For more information, please visit www.cdc.gov.